View from the deck of Lakeview Lodge at Heavenly Ski Resort. Whichever intrepid adventurers first decided to try downhill skiing must have been both stupid and awesome. The first time I ever tried skiing was last year, when my friends decided that my crash course in skiing needed to escalate from bunny slopes to black diamonds all in one day. I slipped, I tripped, I fell, I flopped, I floundered, and I tumbled my way down the mountain, but I couldn’t have been happier! Today, I’ll gladly fling myself down a mountainside in a controlled fall as long as I have those two sticks and some snow beneath me. 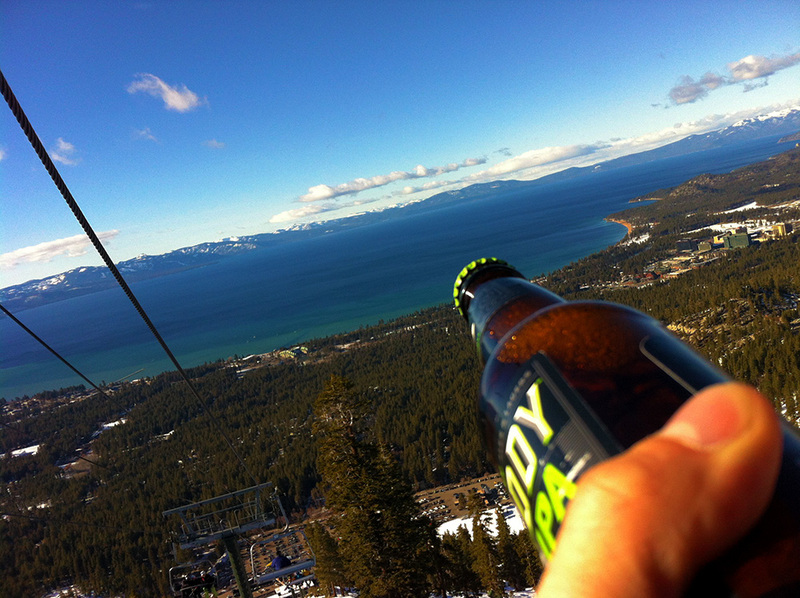 This past weekend some friends and I decided to test the slopes and drink in the views along with a few good beers at Heavenly Ski Resort in South Lake Tahoe, CA. 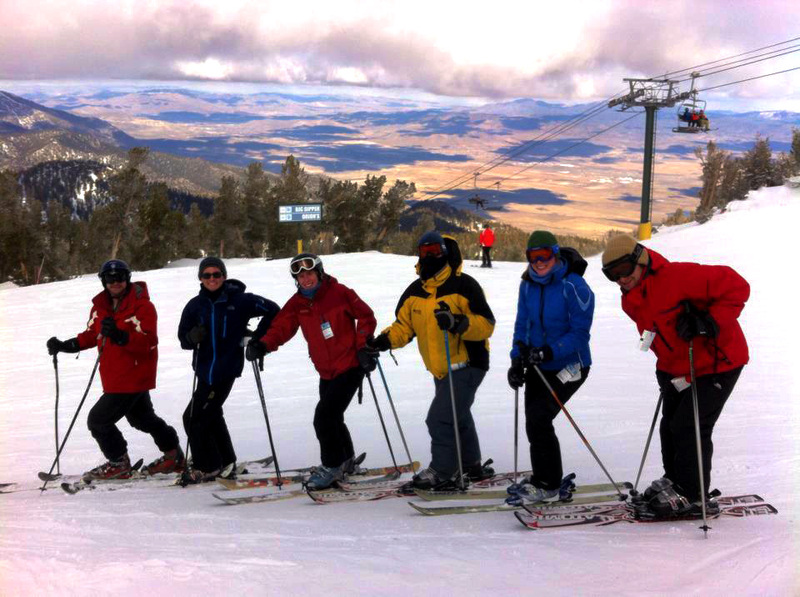 Hosting seven ski resorts, Lake Tahoe is considered to be one of the premiere skiing destinations in the world. View from Gunbarrel lift at Heavenly Ski Resort. Skiing the Nevada side of Heavenly Ski Resort. 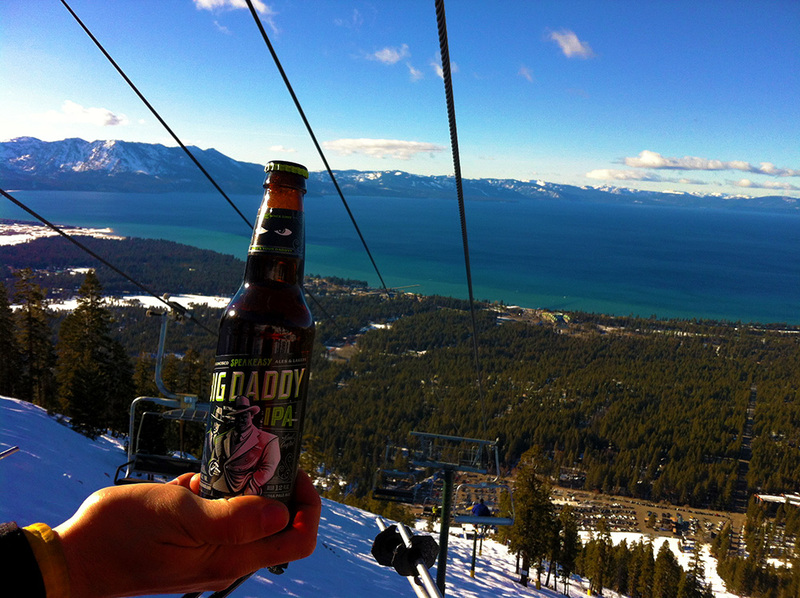 And after carrying a delicious Big Daddy IPA from Speakeasy Ales & Lagers around with me all day, we finally got to enjoy it during our 1,600 foot descent down Gunbarrel Express overlooking Lake Tahoe. Crisp, clean, hoppy and refreshing, it was a great way to end a great day of skiing. Maybe Lake Tahoe needs a drink too. One last exciting note. 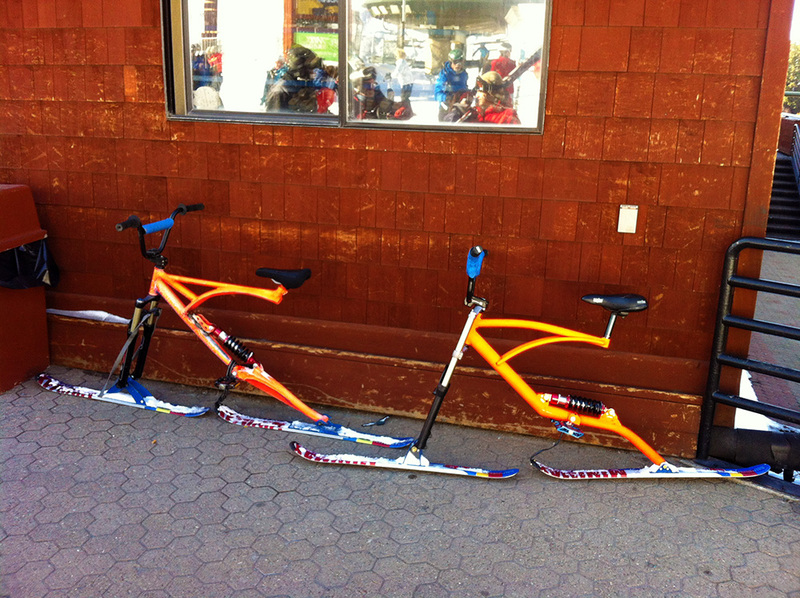 We saw people bombing down the mountain on Ski Bikes! We caught up with them at the base of the hill and bombarded the owner/maker with questions. The owner claims that he is a terrible skier, but when he jumps on one of his custom-made ski bikes, he’s able to go down almost any terrain. He hopes to put together a few models to sell over the summer if anyone is interested. 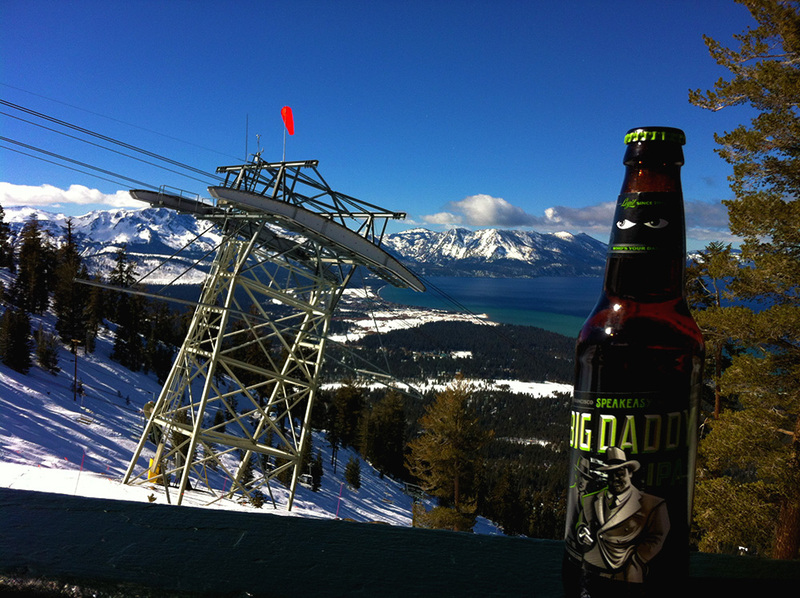 Posted in UncategorizedTagged adventure, beer, big daddy, big daddy ipa, epic, extreme, heavenly, heavenly ski resort, lake tahoe, mountain, mountain beering, Mountainbeering, outdoor, outside, ski, skiing, speakeasy, tahoeBookmark the permalink.